Initial drafts limited the freedoms to just five groups, the Armenian Apostolic Church, the Evangelical Baptist church of Georgia, the Roman Catholic Church, and the Jewish and Muslim communities of Georgia, in addition to the special status still accorded the Orthodox Church of Georgia. 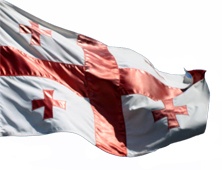 The Baptist Archbishop in Georgia, Malkhaz Songulashvili, reports that following the release of the first draft, Bishop Rusudan Gotziridze (Baptist), lobbied the parliament and requested that the legislation should be extended to all religious groups in Georgia. The draft was subsequently amended to meet this request. A press release from the Embassy of Georgia in London specifically refers to Evangelicals being granted the same freedoms. Previously it has only been possible for the majority of religious organisations to register as a non-profit association. The new legislation now allows for registration as a religious association although the lawmakers have been careful to allow religious organisations to decide whether they want to continue as a non-profit association or register as a religious association. The legislation is designed to ensure maximum flexibility for such organisations.